of the apparel and footwear sales originated outside of Europe and North America, as the main sources of growth are emerging market countries across Asia-Pacific, Latin America and other regions. Consequently, the retail industry is set for some revolutionary changes this year. Some of the tech innovations that were experimental till last year are now set to be introduced into some of the largest retail and e-commerce brands. At Daffodil, we constantly innovate with latest technologies to explore how they can transform into real business value for any industry. Our experience in e-commerce has allowed us to envision, how some of the latest technologies are set to enhance the shoppers experience. 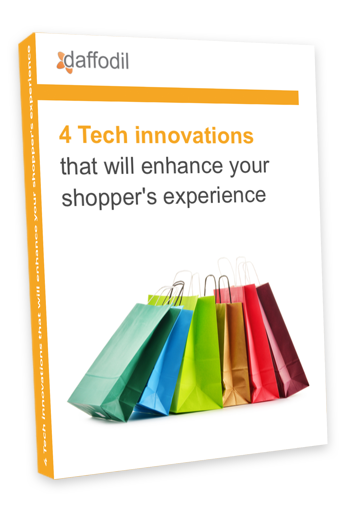 In this ebook, we have compiled 4 tech trends that will enhance your shoppers experience.